For OEMs that apply laminate films to metal parts or apply coatings to as decorative finishes, the in-house manufacturing process requires a significant investment in equipment, plant floor space and ongoing maintenance for what can be a very temperamental process. Not only that, but failure to precisely control what can be a very temperamental process can lead to laminates which do no bond properly or wrinkle, leading to excessively high scrap rates and even product returns. 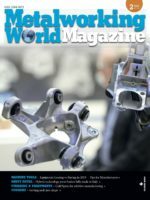 For this reason, OEMs are increasingly outsourcing the application of laminate films to experienced coil coaters who can provide several alternatives: steel, aluminum or other metals in coil or sheet form with pre-applied (dry) adhesive; or fully laminated product that eliminates in-house processing altogether. The result for OEMs can be significant, both in terms of speeding production and reducing operational costs. However, when paired with the fact that experienced coil coaters can produce high quality laminated products, it becomes a win-win scenario. The use of laminate applied to metal to fabricate parts or products is widespread throughout manufacturing. Decorative finishes provide the look of stainless steel, brushed copper, and wood grains, as well as a variety of colors, imprints, and a range gloss levels. Laminate films can also serve a functional purpose by providing scratch or chemical resistance. Some of the more common applications including appliances (refrigerators and freezers, washing machines, dishwashers, microwaves, range or fume hoods), construction products (insulated wall panels, garage doors, roofing products) and the mobile and manufactured home markets (walls, door panels). Applying laminates to metal requires multiple steps. First, the metal is prepared by chemically cleaning and pre-treating. A liquid adhesive or film laminate is then applied to the metal and cured in an oven. 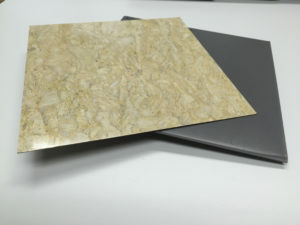 The laminate film is then bonded to the metal as the adhesive coated metal exits the oven and the laminate is fed into nip rollers to join the laminate to the adhesive. The laminated metal is then cooled. Popular laminate films like TPO (Thermoplastic olefin) are also notoriously difficult to bond to metal. TPO can refer to materials such as polypropylene (PP), polyethylene (PE), block copolymer polypropylene (BCPP) and others. 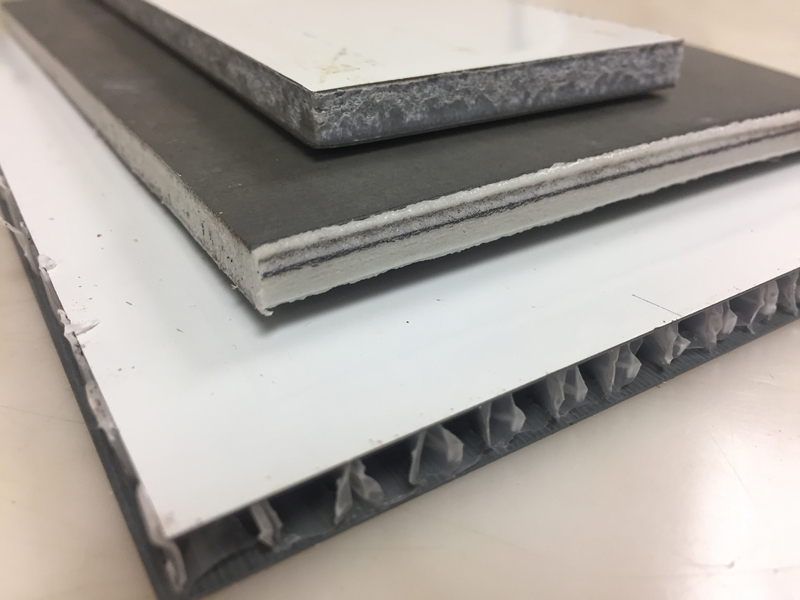 Although there are standard adhesives used to laminate to TPO, Chin says Unichem has seen enough variances that they have developed several custom solutions specifically designed for that material.